1. Radox Muscle Soak Bath Therapy (£1 via Tesco) – My go-to bath product for when I’m either sick or achey (or both)! I sprinkle a handful in running water and pair with other favourite relaxing bath bits. I know some people also love Epsom salts for a similar effect – I don’t know the exact science behind it, but they’re so affordable and really help me feel relaxed when I’m feeling rubbish! My boyfriend enjoyed stealing some when visiting this month, since we were so sore from an 8-mile trek around London and these helped a lot! Repurchase? Yes. 2. Along Came Betty Bath Soak in So Much Bubble (£4 via Tesco) – Another bath product I quite enjoyed mixing and matching with others – it paired great with super-sweet Lush bath bombs. It lasted me ages, as a small amount produces a ton of bubbles. The scent is described as ‘lemon and mallow’ – very sweet and fruity with a slight hint of citrus. £4 is decent value considering it lasts numerous baths, but not incredible enough to be something I’d rush out to buy again. Repurchase? No. 3. Lush Calacas Shower Gel (currently unavailable) – Another of my Lush Kitchen favourites! Calacas is one of their most popular shower gels – a zesty but sweet lime citrus scent, ideal for waking you up and feeling fresh early in the morning. Normally I’m really not a fan of lemon or lime scents as they remind me of bathroom cleaner, but this one has a sweetness to it that makes it smell so gorgeous (not at all like toilet bleach). As a bonus, when it’s freshly made it often has an orange/yellow-green duochrome effect to it, which is kind of amazing. This was my go-to gel for the shower for a couple of months and I really loved it! Repurchase? Already did. 5. Mitchum Advanced 48 Hour Deodorant in Shower Fresh (£2.89 via Boots) – My everyday deodorant! As much as I’d love to make the switch to natural deodorants full-time as I’m becoming more aware of the ingredients used in our everyday products, unfortunately I’m too much of a sweaty person to commit to a ‘healthier’ alternative. Mitchum is the only deodorant that seems to work for me and doesn’t give that horrible sweat-and-flowers stink after a few hours that most of the others seem to do. The scents are okay, ‘Shower Fresh’ smells exactly as you’d expect, I’d prefer unscented but their version smells of plastic. The most effective roll-on out there, I’m trying others but so far this is the only one that works for me! Repurchase? Yes. 6. Bath and Body Works Japanese Cherry Blossom Shower Gel ($12.50 for full size via Bath and Body Works) – One of those products I was glad to use up! Japanese Cherry Blossom is a somewhat powdery floral scent that I enjoy as a home scent, but don’t get on with at all used on my body. Although this was only a tiny travel size bottle, it took so long to use up just as I dislike the scent on my skin! I eventually finished it off by using as bubble bath (their shower gels foam up really well for this). 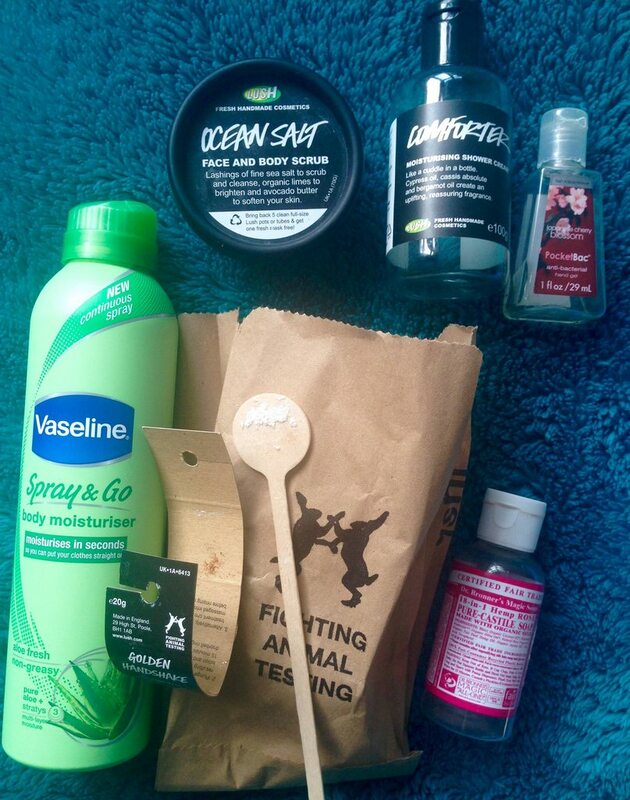 I find many of their body products a little overpowering for me these days, so I stick to Lush and other favourites instead – just as well, as it’s quite expensive and hard to get hold of here! Repurchase? No. 7. Orgaid Organic Sheet Mask (via Amazon; currently unavailable)* – I was sent this sheet mask for free via an Amazon reviews site in exchange for a completely honest Amazon review, and I thought I’d feature it here too! I’m new to the world of sheet masks but really enjoyed this one – it left my skin feeling so much more smooth and hydrated the next day after leaving on for 15-20 minutes the night before. The only issue is that I suppose I have a big face, as it didn’t fit my features too well – tall girl problems I guess! I’d be tempted to purchase again, though I believe the full price was £6-7 per single use mask (!) so I’ll definitely be trying out plenty of other cheaper ones first! Repurchase? If cheaper! 8. Oskia Renaissance Cleansing Gel (£28 via Space NK) – A blogger favourite, though I swear this was £2 cheaper before! At least you can take £5 or more off if you have points on your Space NK card, although it doesn’t quite excuse this cleanser from being so expensive. I do have to say this is my favourite everyday cleanser – no discernable fragrance or essential oils that irritate, just a gorgeously silky jelly-like texture that melts off dirt and cleanses so gently, even on sensitive eyes, without feeling greasy in the least. You may need an extra product to remove heavy eye makeup. This suits my skin perfectly and lasts at least 3 months of daily use so I’m willing to pay the price! Although I wish they made a travel size and a method for telling when the bottle’s nearly empty – it’s a bit of an expensive habit but to me a necessary one! Repurchase? Yes. 9. Una Brennan Superfacialist Vitamin C Cleansing Oil (£10.99 via Boots) – My second step in cleansing when I’ve been wearing mascara! After removing as much as possible with a face wipe, I use several drops of this oil to melt away tough mascara and lip products if I’ve been wearing a full face of makeup. Quite affordable considering it can last months and months even if you’re an everyday mascara wearer, since you only need a small amount each time to remove everything. It has a gorgeous citrus orange scent to it and doesn’t irritate sensitive skin or eyes in the slightest. I even decant some into a travel bottle to use on holiday. The only issue is that as it’s an oil product that lasts so long, the bottle gets quite dirty, oily and gross-looking – sorry about that! Repurchase? Yes. 10. Lush Sweet Lips Lip Scrub (£5.95 via Lush Cosmetics) – This one is currently discontinued from the main collection, but happens to be still available in the Lush Kitchen, so if you’re after some be quick! Mine ‘expired’ quite a while ago, but they’re still perfectly good to use after expiry and mine still smelled as sweet and chocolatey when I finished it off as the day I bought it. These little jars last for so long and are packed with so much product I feel the price is completely justified – no need to spend more money on ingredients to make your own. After brushing my teeth in the morning, I rub a small amount into my lips and it does wonders to soften them and remove any dead skin, perfect for giving a smooth base before applying lipstick. Natural, delicious and so effective – now to work on my special Valentine’s edition from last year! Repurchase? Yes! 11. Bioderma Hydrabio Micelle Solution 250ml (£10.50 via Escentual) – Previously my go-to micellar water and that of so many bloggers and Youtubers, but I’ve been trying out others lately. This particular one claims to be more hydrating on the skin – I didn’t notice a huge difference, but it felt soothing, non-drying and didn’t irritate my eyes at all. Nothing earth-shattering, but effective nonetheless! My only complaint with Bioderma is that they make it impossible to decant the product or to re-use their containers, even when using a narrow funnel, which I feel is a little sneaky! Repurchase? Maybe in the future. 12. The Body Shop Aloe Calming Toner (£9.50 via The Body Shop) – I’d never been a toner fan but found this one really effective for my sensitive skin! I use it following my micellar water in the mornings, it really helps tighten pores and reduce redness a little whilst removing any extra dirt or makeup. As a bonus, it’s pretty much unscented and doesn’t strip or dry out the skin, or contain any harsh essential oils. I’m trying out another product at the moment but this is one I’d definitely come back to! Repurchase? Possibly soon! 13. Bee Good 3-in-1 Honey and Wild Water Mint Cleansing Water (£10 via Waitrose) – At £10 for just 100ml (small enough to carry in hand luggage) I probably wouldn’t have picked this up on my own, but I did really enjoy using it after receiving it in a beauty box a while ago! It has a very gentle, pleasant honey and mint scent and doesn’t irritate or dry the skin at all, nor does it interfere with sensitive eyes. I’m trying out other products at the moment and may come back to it in the future, as I did really enjoy it! Repurchase? Possibly in the future! 14. Lush Dark Angels Cleanser (£6.95 via Lush Cosmetics) – I didn’t finish up the whole thing but this was long expired – a tiny amount goes such a long way, the small size is more than enough for anyone! This black scrubby cleanser works so well to exfoliate all skin types (and stain your towels), especially good for combination skin and blackheads. I’ve since switched to a different routine so no longer buy this, but I did really enjoy the results on my skin. Just be sure to use old towels and washcloths to avoid staining! Repurchase? Maybe in the future. 15. La Roche-Posay Hydreane Legere Moisturiser (£13.50 via Escentual) – One that seems to make an appearance every single post! My absolute favourite daytime moisturiser which is perfect for sensitive dehydrated skin – the mildest and blandest of formulas and yet so effective, non-greasy and so hydrating. I’ve been using it for a couple of years now and not sure how I’d carry on without it. Absolutely worth the money, so little else seems to work for me. My only slight complaint is that there is at least another couple of weeks worth of product hiding inside the tube once you cut it open, so I slice it up and decant the rest into a small plastic tub. Repurchase? Yes. 16. Clinique Take The Day Off Cleansing Balm [Sample] (£22 for full size via Feel Unique) – I received a few of these little sample pods as freebies during the Sephora VIB sale in November while I was away – I’d heard so much about the product, but was reluctant to purchase due to the price. The balm feels very similar in consistency to coconut oil – it melts on your skin in the same way but doesn’t feel greasy, nor does it have any kind of scent. I was impressed at how well it seems to melt away makeup, including mascara, without leaving a residue. I definitely need to try it out a few more times – it could well be worth the investment! Purchase? Maybe. 17. NYX Green Tea Blotting Paper (£5 via Boots) – I’d bought these on a whim on an Ulta visit in the US a while ago, but only recently finished up all 100 sheets. The claims are interesting and the papers are definitely quite pretty, but I didn’t notice any notable differences from any other blotting papers. My Kleenex and Clean & Clear ones definitely seem to absorb more oil than these. Repurchase? No. 18. Lush Enchanted Eye Cream [Sample] (£12.95 for full size via Lush Cosmetics) – I’m always the cheekiest and ask for samples of this whenever I can, just to help make my mind up! This eye cream is super-light and hydrating, made with simple and safe ingredients, a tiny amount goes a very long way, it’s pretty affordable and packaged in a handy and very practical mini pump bottle. After much deliberation I think I’ll be purchasing it as soon as I’ve used up all my other eye creams – I don’t need anything too heavy just yet and I’ve been quite enjoying it! And do I really need any encouragement to take a trip to Lush? Purchase? Yes (eventually). 19. OGX Thick & Full Biotin & Collagen Shampoo (£6.99 via Boots) – I got very excited for this shampoo but ended up a little disappointed! It has a very unusual stringy, jelly-like consistency and a pleasant candy-like smell which I just can’t put my finger on. Initially it did seem to give a small boost of volume to my fine, flat hair, but towards the end of the bottle I noticed my hair shedding more than usual when I used this shampoo. Which definitely isn’t what I want from a shampoo! A shame, as it seemed like a good one initially. Repurchase? No. 20. Johnson’s Baby Powder (£1.05 via Boots) – A bit of a controversial one at the moment – a woman in the US has sued Johnson & Johnson claiming that their baby powder causes cancer. Side note: I didn’t realise ladies use this as a feminine hygiene product? You learn something new every day! Talc is used in so many powder-based cosmetics, scientifically shown to be just as safe if not safer than many other cosmetic products, and in the UK at least, there are such stringent cosmetic safety regulations I think we’ll all be okay to keep using our favourite powder products a bit longer. I use this as dry shampoo to massage into my roots when they’re particularly greasy – it works just as well if not better than many dry shampoos for me! Repurchase? Yes. 21. Revlon Colorstay Whipped Foundation in 150 Buff ($11.19 via Drugstore.com) – Unfortunately this brilliant formula isn’t available in the UK, but keep an eye out for it on Amazon or Ebay as it occasionally pops up! This is my absolute favourite all-day long-wear foundation – a natural looking matte finish that’s comfortable to wear and doesn’t budge on even the busiest days out. It’s so easy to blend and apply, and Buff matches my light, cool-toned skin perfectly. My one complaint is that the packaging is ridiculous – the huge glass jar is chunky, heavy and a little unnecessary. Repurchase? Yes. 22. Urban Decay Eyeshadow Primer Potion (£16 via Feel Unique) – My mini primer potion dried up so I had to get rid of it unfortunately – just as well, as it’s a pretty old one! This cult favourite is possibly the best out there for keeping powder eyeshadow in place, although powder shadows crease every time on me, so I usually stick to cream formulas instead. A great investment if you regularly wear powder eyeshadows! Repurchase? In the future. 23. 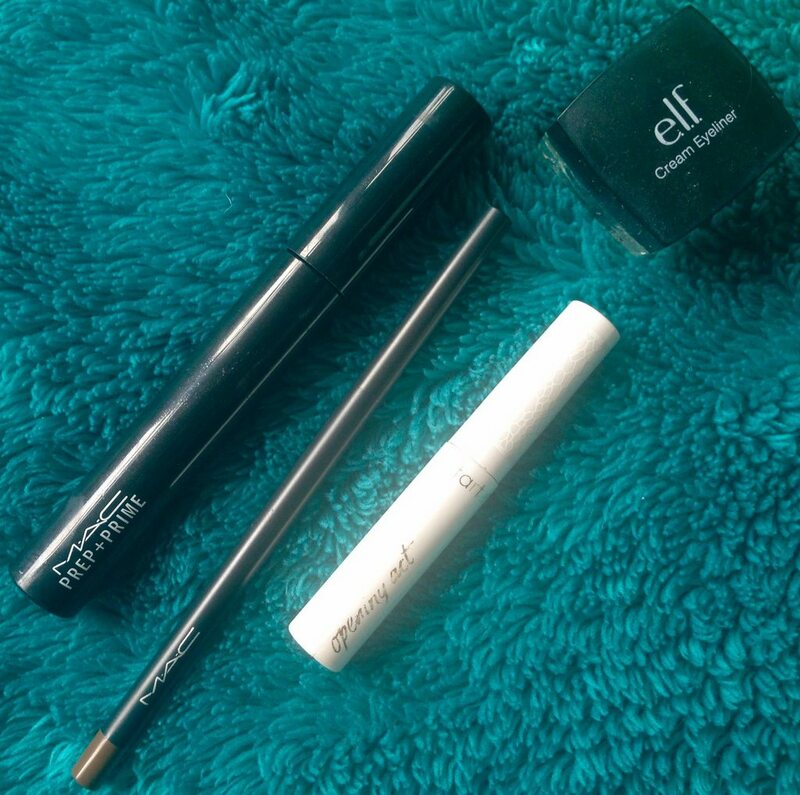 Collection Extreme 24 Hour Felt Tip Liner in Black (£2.99 via Superdrug) – One of my makeup essentials! I wear this liner every single time I wear full eye makeup – it’s one of the cheapest out there as well as the most effective and easiest to apply. Personally I just can’t get on with gel, pencil or brush tip liners, so this is my one and only. It always looks great and wears so well – I hope they never discontinue this! Repurchase? Yes. 24. Maybelline Full ‘n’ Soft Waterproof Mascara (£8.16 via Amazon) – Another one of those great products that sadly isn’t easily available in the UK for some reason, but at least Amazon has them (if a bit overpriced once shipping is added). The best waterproof formula I’ve found – if it can survive the Florida summer, it can quite literally do anything. Lashes look naturally defined and lengthened, no clumps or spidery business here. I stock up from Target or Walmart when I’m in the US where it’s a little more affordable. Repurchase? Yes. 25. Maybelline The Rocket Volum’ Express Mascara / Waterproof Mascara (£7.99 via Superdrug) – I’d purchased both versions expecting great things but unfortunately felt a little disappointed, not to mention like I’d wasted my money. Both versions seemed very similar to me – average, spidery lashes that stuck together and smudged on my lower lids, even the waterproof version. A shame, as they’re not the cheapest out there and I was expecting good things considering their popularity. Repurchase? No. 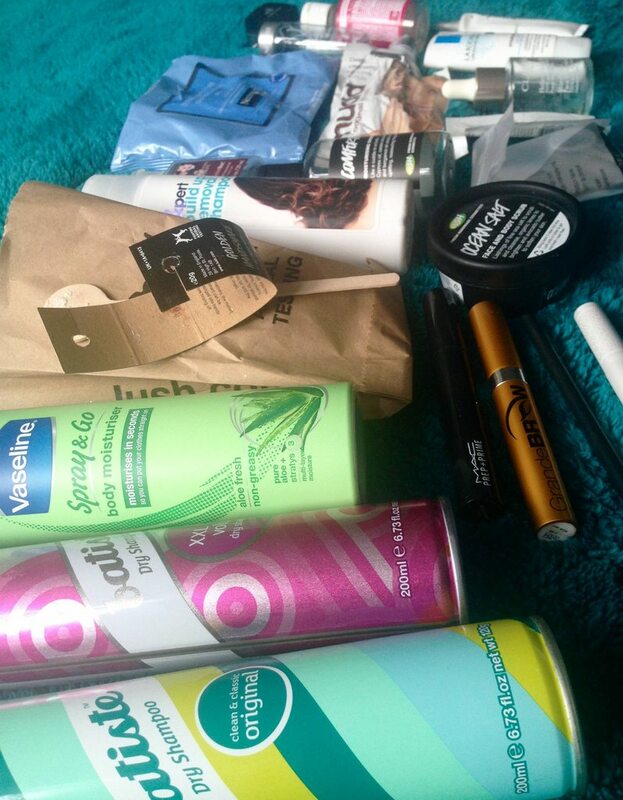 Thanks for checking out my last 2 months worth of Empties – what a journey! 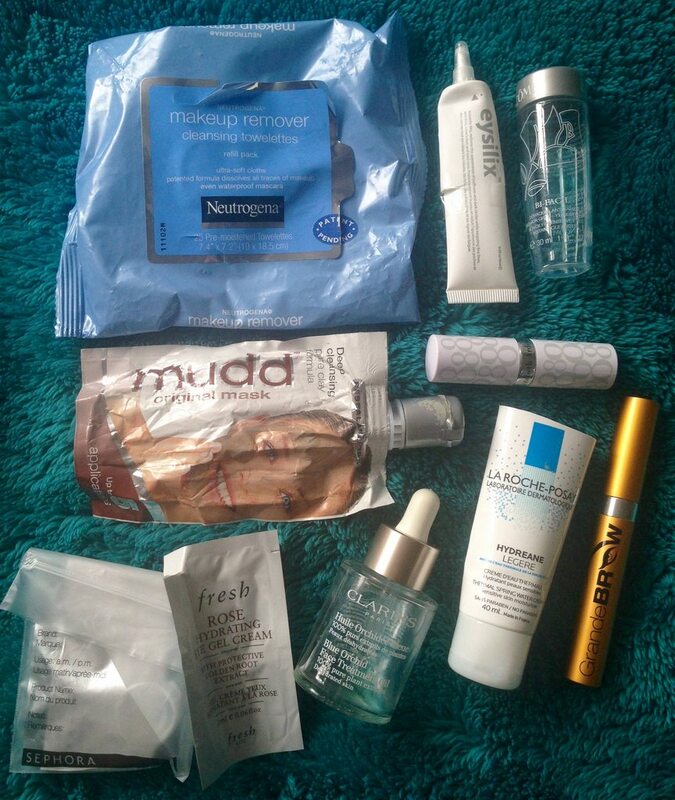 Let me know below what you’ve been using up lately, or even link me to your own Empties post, I’d love to see! Oh hey – I’m still alive! How have you been? After a wonderful few weeks away I’m back in cloudy England all ready for the impending Christmas season. 1. Kat Von D Mi Vida Loca Remix Studded Kiss Lip Set ($42) – Incredible value for $42! This set includes 7 mini sizes of the creamy, pigment-loaded lipsticks by Kat Von D as well as an exclusive full size lipstick. An ideal gift for yourself or any bold lip lover. Considering a single full size KVD lipstick is $21, this is the perfect way to try 8 new shades without spending a small fortune. Gotta love Sephora gift sets! 2. Tarte Opening Act Lash Primer ($22) – After trying a deluxe mini size of this primer that I’d received as a freebie and stashed in my travel bag, I was amazed at the extra length and definition this product gave under my Maybelline mascara, so I’ve been using it every day since! Not to mention Tarte is one of my favourite brands (but sadly hard to obtain in the UK) due to its ethics and good-for-your-skin approach in all its products. 3. Elizabeth & James Nirvana Black Dry Shampoo ($28) – A lesson in never leaving yourself in Sephora unattended! 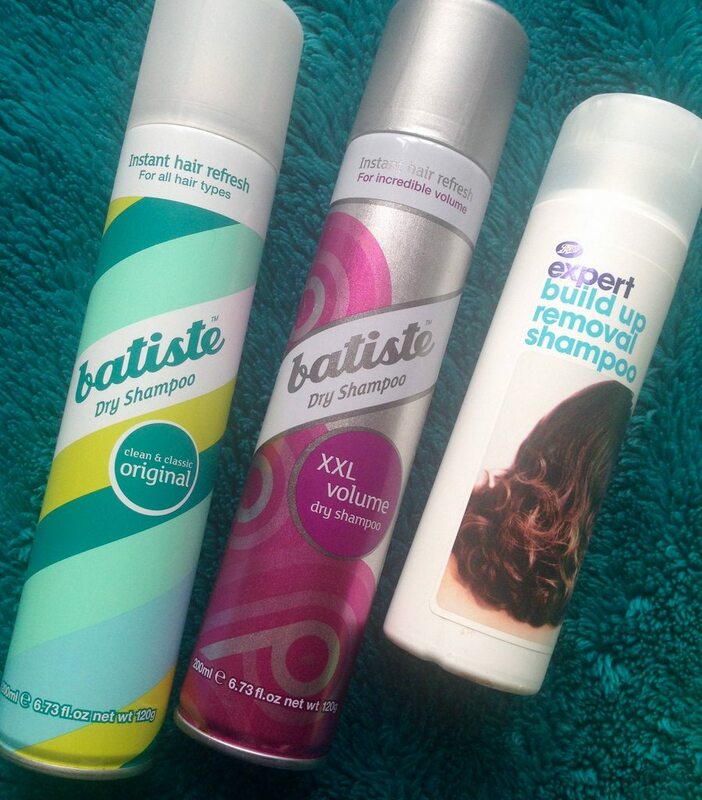 My Batiste is a perfectly good, affordable dry shampoo that really does the job to combat greasy roots, but after trying this out in store I couldn’t walk out with such soft, sweet-scented hair and not buy it. I initially fell in love with the Nirvana White fragrance a year ago, but suddenly I’m very much into the more sensual, sultry Black scent. A very extravagant & unnecessary purchase I know, but I can’t imagine anyone not wanting their hair to smell this good. 4. Sephora Favorites Extend Your Style Set ($32; currently out of stock) – I debated on picking this up but decided to just purchase it anyway..and I’m glad I did! $32 gets you 7 travel size high end dry shampoos, all perfect for throwing in your handbag or suitcase. Just over $4 per product is very reasonable, especially when this set contains coveted favourites from Bumble & Bumble and Dry Bar. I can’t wait to try these out for myself. 5. Sunday Riley Good Genes Treatment ($105) – Ridiculously expensive, but not quite so much with my 20% off code. I’d been trying a couple of samples before my trip and really didn’t want to enjoy something so pricey, but unfortunately it worked some brilliant magic! My skin is temperamental at the best of times and this lactic acid serum drastically improved my uneven skin texture and pigmentation within just a few days. I’m taking a break from it temporarily and being very gentle with my skin since it’s having something of a freakout after returning home to drier weather, but will absolutely be returning to it very soon. I just dread ever having to repurchase it without some kind of heavy discount! 6. Tarte Amazonian Clay Full Coverage Airbrush Foundation in Fair Honey ($36) – The only powder foundation that’s ever provided any kind of decent coverage for my pigmented skin. I use a fluffy kabuki brush to apply – Tarte’s own Airbuki brush is far too dense and stiff for my liking. This is my absolute favourite easy foundation – no mess, looks good and feels perfectly comfortable on the skin. I use other formulas for longer wear and days out, but this is my go-to for errands and lazy days that makes me look like I actually made some effort. 7. Benefit Roller Lash Mascara ($12) – One mascara I’ve heard so much hype about and absolutely have to try for myself! I didn’t want to drop money on a full size without knowing if it would work for me first, so this mini size is perfect. I still have quite a few mascaras to work through, but can’t wait to try this one next! 8. Urban Decay Subversion Lash Primer ($20) – Very similar to the above Tarte mascara primer, though this one was sold out everywhere for months! I’m curious to try these two primers side-by-side, especially as I know both really do make a difference to your mascara. Not to mention I’m not the biggest fan of the Urban Decay Perversion mascara – maybe this will help it work for me while I finish it up. 9. Elizabeth and James Nirvana Black Hand Cream ($15) – Living in a cold climate in the winter means a hand cream is always a necessity. After picking up the Nirvana Black dry shampoo, I spotted this and had to try it out too, especially as the scent is so lovely – I’m sure I’ll feel very luxurious every time I sniff this on my hands. And the slim, mini size is perfect for your handbag. 10. TokyoMilk Dark Femme Fatale Fragrance Wardrobe Discovery Set ($42) – After thoroughly enjoying a mini rollerball set by TokyoMilk last year, I decided to pick up this beautiful set of miniature bottled perfumes by the brand this time around. I already have a full size of the darker, more mysterious citrus-scented Everything & Nothing and can’t wait to try out the rest. An ideal gift for anyone who likes more unusual, non-mainstream scents but don’t want to buy a specific one for. A fragrance brand I feel is a little underrated – there really is something for everyone to fall in love with. 11. Sephora Beauty on the Fly Travel Bag ($4.95) – A traveller’s essential! My flimsy little ziplock bag broke on my way over there, so I decided to invest in a more sturdy replacement. I believe this is the American TSA’s regulation size, but according to reviews it may not be acceptable for passing through UK and European airports, which is a shame. Otherwise it’s surprisingly large and fits plenty of travel size liquids for your flight. I may just carry an extra plain ziplock for UK security and use this during the rest of my journey in future, as it seems to stand up much better to repeated use on a long trip. I also received mini sizes of the D&G Light Blue fragrance as well as 2 of the Nest Indigo fragrances as 250 point and 100 point perks – I’ve yet to try these out but can’t say no to a good fragrance freebie. My only complaints would be that there was an issue placing my initial VIB order where it didn’t seem to go through and I had to re-order later in the day after realising (luckily everything I wanted was still in stock! ), and also I didn’t receive any samples at all in my package after requesting them. I did have some issues with USPS immediately returning my packages because of a ridiculous ‘undeliverable as addressed error’ that was an absolute nightmare to sort out; at least this arrived fine, as I’d be very upset if it was returned! 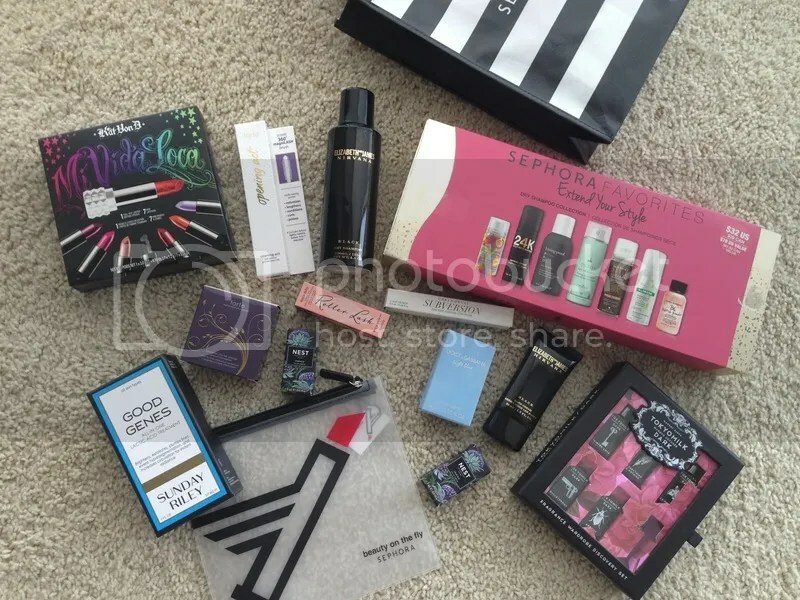 I hope you enjoyed checking out what I grabbed in the Sephora VIB sale! Please let me know if you’ve tried any of these products and what you thought of them!